The Valley Motel is a family operated independent economy motel located right of Highway 160 in the beautiful town of Alamosa in Colorado's San Luis Valley. 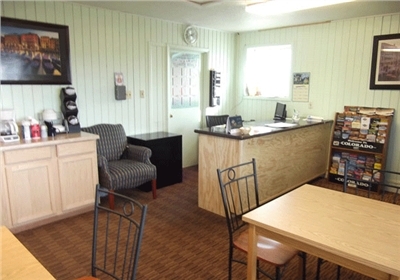 The motel property has recently undergone a 100 percent renovation in order to offer travelers a more relaxed and comfortable environment. The spacious rooms are equipped with all basic amenities such as refrigerator, TV, microwave, air-conditioning and high speed internet, making it an ideal choice for travelers. The perfect blend of modern-day amenities, contemporary setup and pleasant ambiance makes it just the right place to stay when you're away from home.You can rest assured to have a wonderful experience during your stay. Additionally, you will appreciate the convenience of having easy access to a number of quality restaurants and shops. 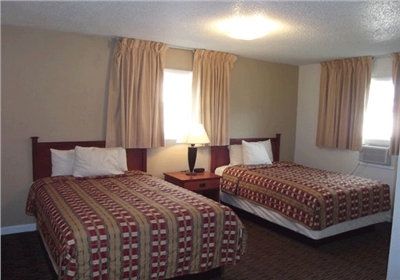 Enjoy a newly remodeled, well maintained room with 2 Full Beds with all basic amenities like in-room air-conditioning, refrigerator, microwave, cable/satellite TV, coffee maker, free high speed internet connection, free local calls and iron and ironing board. The rooms are designed keeping in mind the needs of modern travelers. Non-smoking rooms are also available on request. The breakfast is served complimentary with your room booking. We also offer other facilities such as laundry, cold weather hookup, courtesy transportation and outdoor parking for cars, buses and trucks. 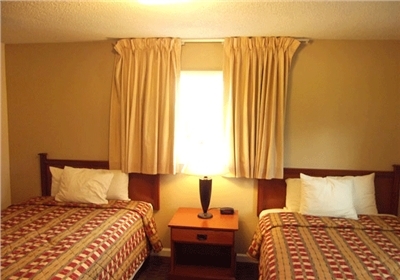 The motel also caters to the unique needs of business travelers and provides them with additional facilities such as copy machine and fax machine. 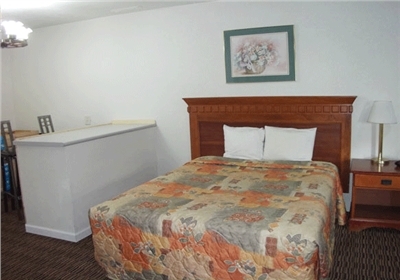 Enjoy a newly remodeled, well maintained room with a full Bed and all basic amenities like in-room air-conditioning, refrigerator, microwave, cable/satellite TV, coffee maker, free high speed internet connection, free local calls and iron and ironing board. The rooms are designed keeping in mind the needs of modern travelers. Non-smoking rooms are also available on request. The breakfast is served complimentary with your room booking. Cancellation	| 24 Hour Cancellation Policy: Cancellations are non-refundable inside of 24 hours prior to arrival. Deposit	| 1 nights lodging is collected at the time of booking and the remainder is due 30 days prior to arrival. Check In	| Check in is guaranteed after 4pm. Check Out	| Check out is at 11am. Pets	| Dogs are welcome with a $10 per dog, per night fee. Please note, there is a 50lbs limit per dog. The Dog fee will be collected upon arrival at the motel separately.